Test Games Spreadsheet Report – The Revenue Results are Incredible! New products and technologies can have life-changing effects on us and more importantly, on our customer base. I am on the lookout for first the new technologies and then the products that can be developed that can provide opportunities for our industry to offer them to improve the guest experience. Four engineers get into a car. “Hey guys. I have an idea. 💡 What this could mean? Selfies have dominated the experience landscape for the past several years. I first saw the selfie sticks in Dubai before they became popular in the U.S. Recently these sticks have been banned in some amusement parks and family entertainment centers for safety reasons because people were taking them on rides and attractions where these sticks can fall from great heights or be innocently poked into other participants. As an aside, my son, David, decided to take hundreds of selfies during his recent trip to Italy with his wife, Erica. He made a selfie book. He did it as a spoof, but his selfie book is quite interesting as well as funny, as he got quite good at making sure that all backgrounds (buildings, signs, scenery, other people) were perfectly framed in the selfie. The only problem was that he only had three facial expressions and they played over and over: big phony grin, mouth open in surprise, and a sad look. Erica, however, always seemed to have a different facial expression that closely portrayed the experience. Now we get back to the Lily camera. This could easily replace the selfie as this waterproof drone with camera can follow you in just about any situation. Currently I believe the batteries last for 20 minutes, but that will soon by 1 hour. Lily is just like having your own private James Bond photographer following you around to record your experience. I know for sure that I want one, and want it now! However, I want the indoor/outdoor model. I wonder if our industry will be on the liberal side in this instance, and permit hundreds of Lily’s to fly around in our bowling centers, FECs, amusement parks as long as the technology keeps them from crashing into each other or getting near the attractions. Perhaps they can go into ‘hover mode’ and be able to help our guests interact with the games and attractions, and give pointers just like Siri on my i-phone currently does. The company is exploring corporate, home and educational applications, but demonstrations have included control of a computer game. WOW! The Bird is great for both video games and videmption and possibly even merchandise dispensing games that also incorporate video. [We will soon need to create a catchy name for the cranes with video category. How about ‘vicrane’ or ‘vimerch’ or just plain ‘video-crane’???]. If you want to keep your finger on the pulse of the industry—this is a new way to do just that!!! users to manipulate displayed data at distances up to 100 feet. less than 1mm in extent. 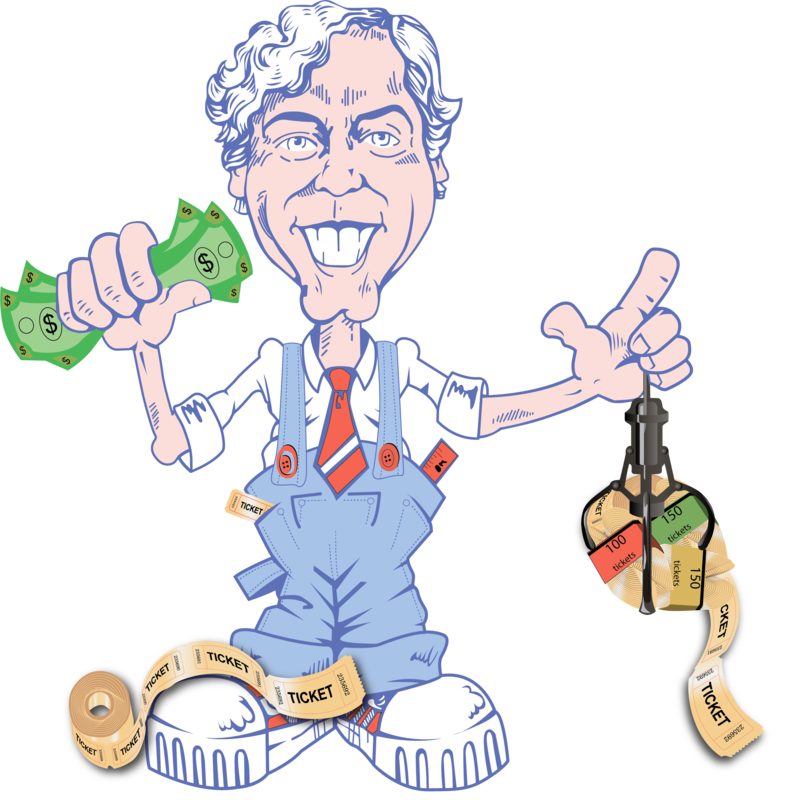 The Amusement & FEC industry, just like the public in general, uses locks and padlocks to protect our valuables (premises, gates, cash, bill changers, games, tokens, tickets, debit cards, kiosks, prizes, cabinets, doors…). Recently, this ‘how to’ video was posted on YouTube’s “Lock Channel” and teachers viewers how to open one of the most popular padlocks on the market in less than a minute. This tutorial, titled ‘Rappin’ on MasterLock,’ was posted by an anonymous individual with the handle Bosnianbill. The video has already been viewed by more than 2 million views. If this video is real, it shows that it takes just a few well-placed taps with a hammer to open a MasterLock padlock in a few seconds. What impressed me the most, as Bosnianbill states in the comment section, the padlock is not damaged at all and continues to operate exactly the same as if it was opened with the correct key. 💡 What this could mean? This video clip should be a wake-up call for everyone. It shows that our padlocks are not nearly as protective as we have been led to believe. Perhaps this is an opportunity for our lock suppliers to come up with some new products. But you know me very well by now. I will first try this myself (as you all should), just to make sure that it can be done that easily. Another way to look at this video, is it could help any one of us to save lives if confronted with a padlock that needs to be opened and we do not have the key, but we also do not have a hacksaw or a bolt cutter, or a gun (like they shoot open locks in the movies all the time). Problem. Each of the 6 buttons progressively lose their functionality and players find it increasing more difficult to play the game. Cause of Problem. I discovered that the original washers on the inside of each button are too thin and bend under normal player pressure. Effect. The plastic behind the washer cracks. Reality. A whole button assembly costs $218 each and there are 6 of them! Replacing the button assembly is not a real option. A solution must be found and pronto. temporary solution and not the final solution. The button assemblies are currently in poor shape because I did not discover the problem soon enough. In the future I will pay more attention when players complain and I can’t find anything wrong. 9.5 times out of 10 they are telling me the truth and not trying to pull a fast one.